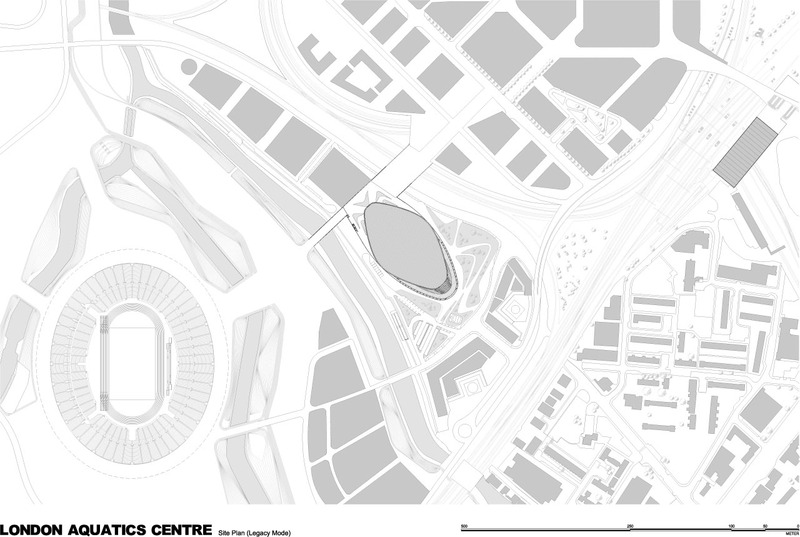 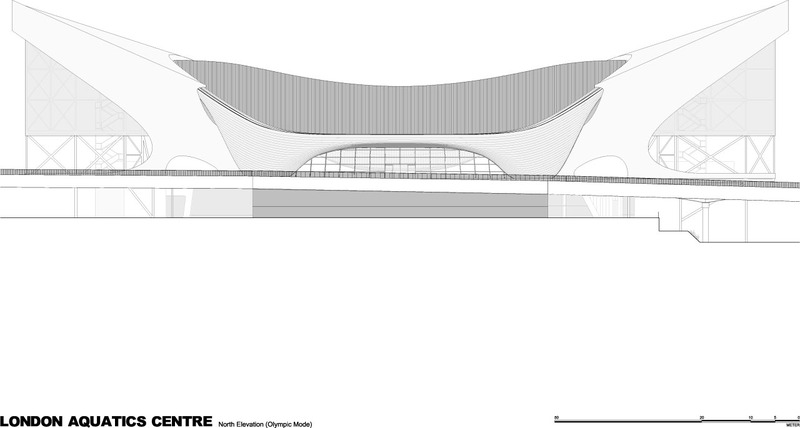 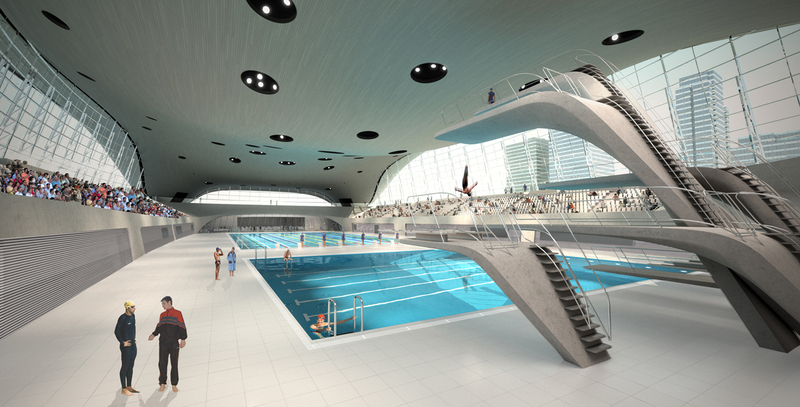 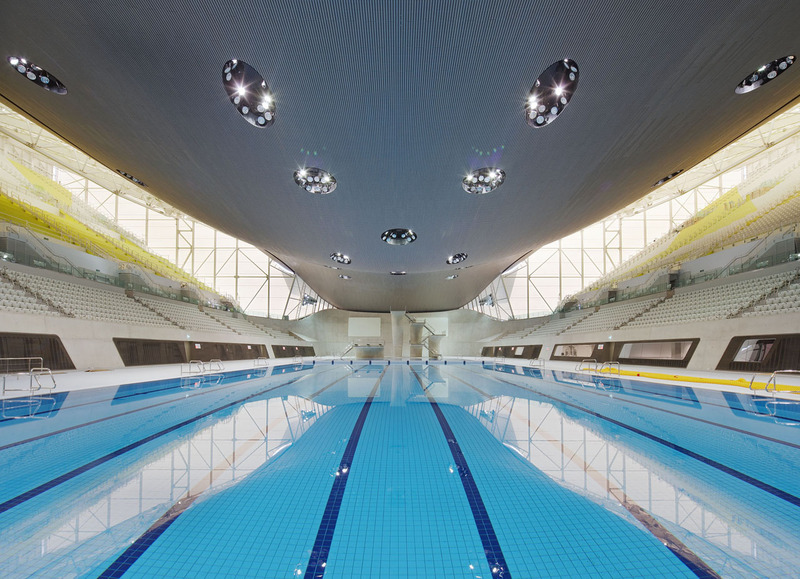 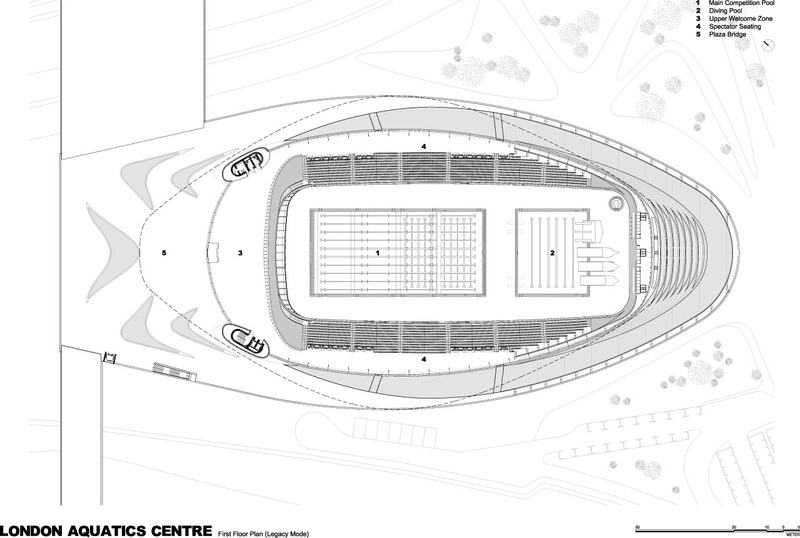 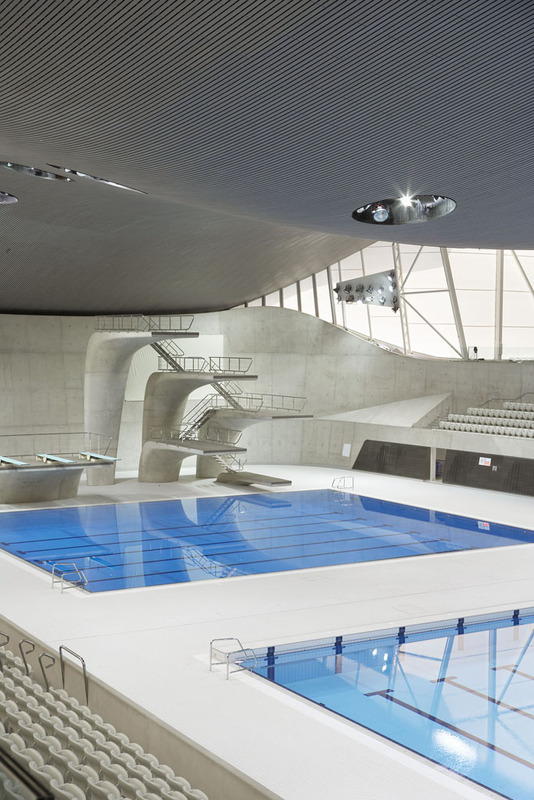 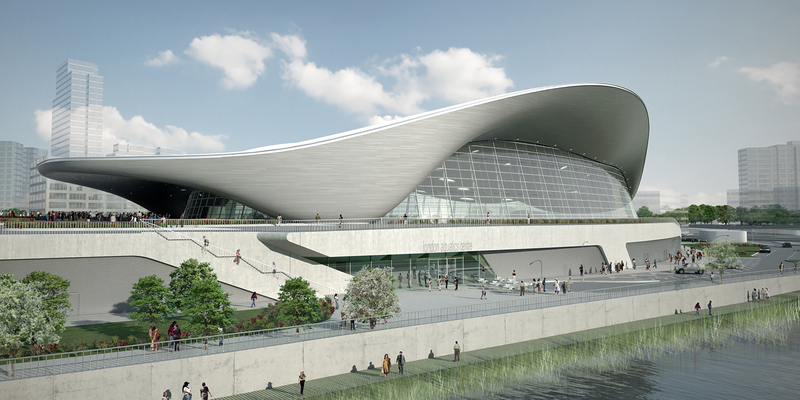 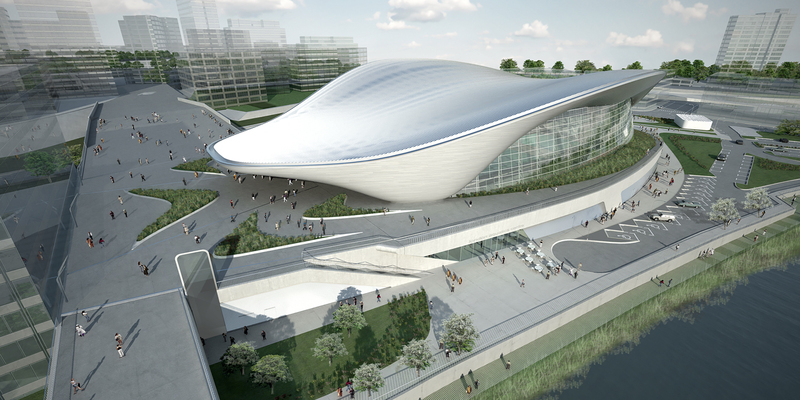 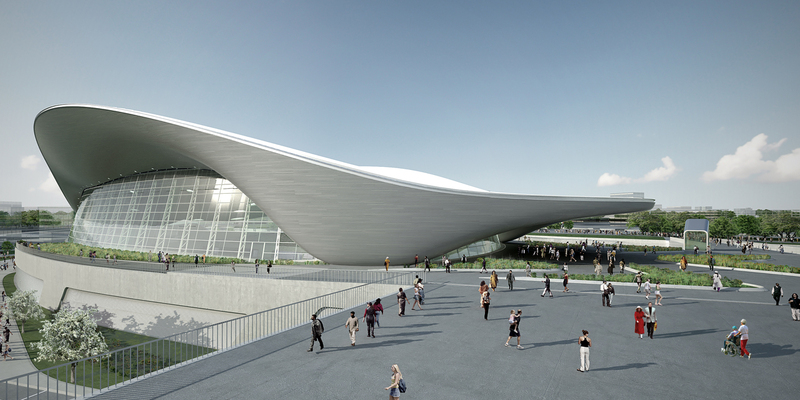 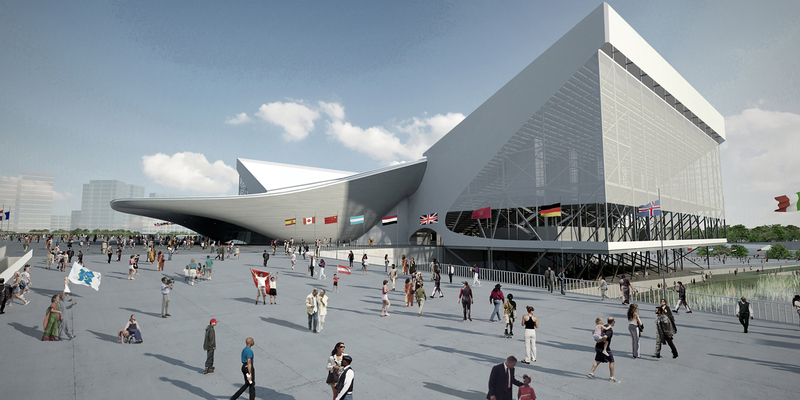 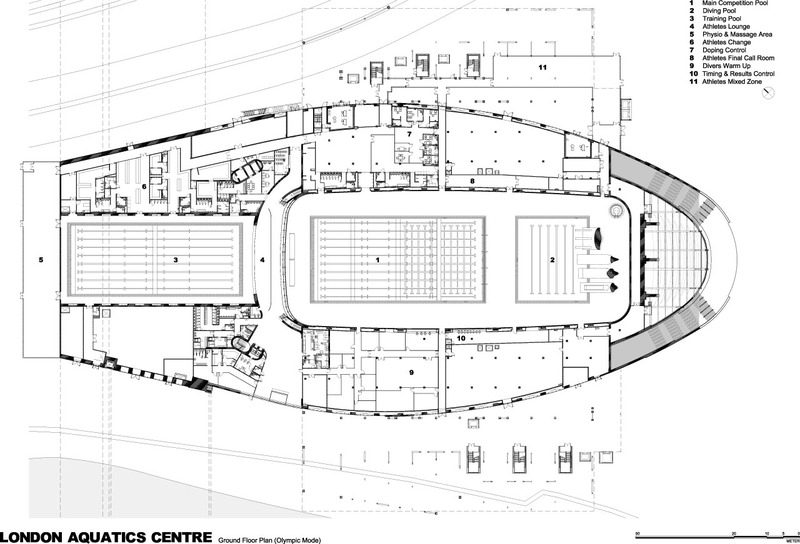 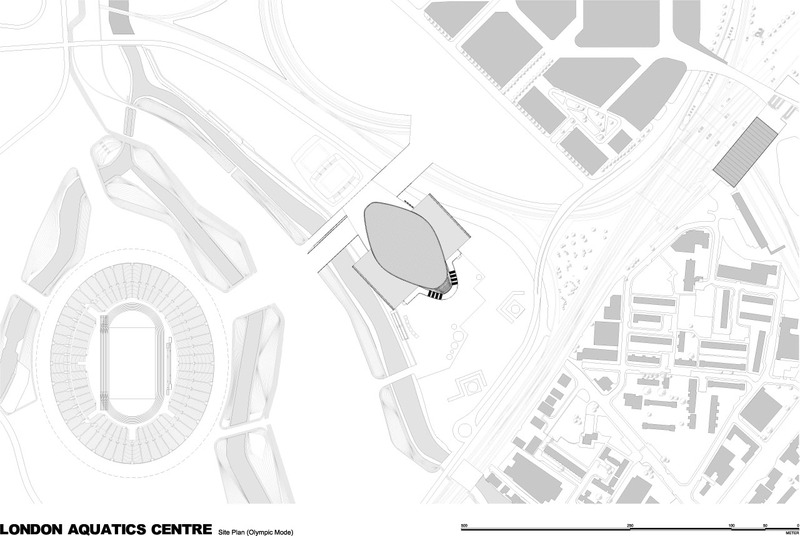 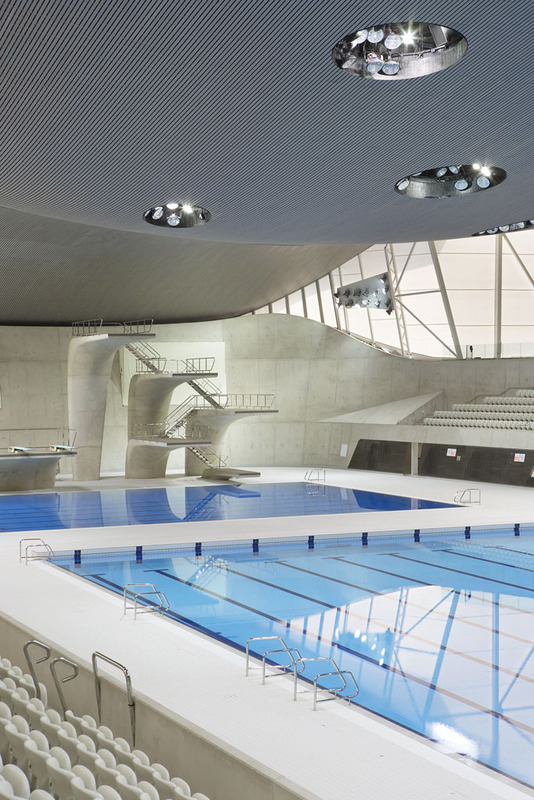 The Aquatics Centre will anchor the southeastern corner of Olympic Park and link it to surrounding neighborhoods. 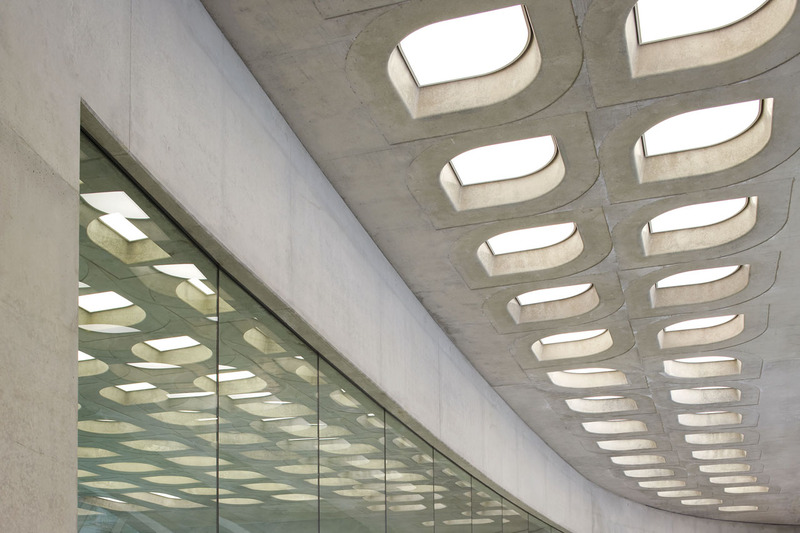 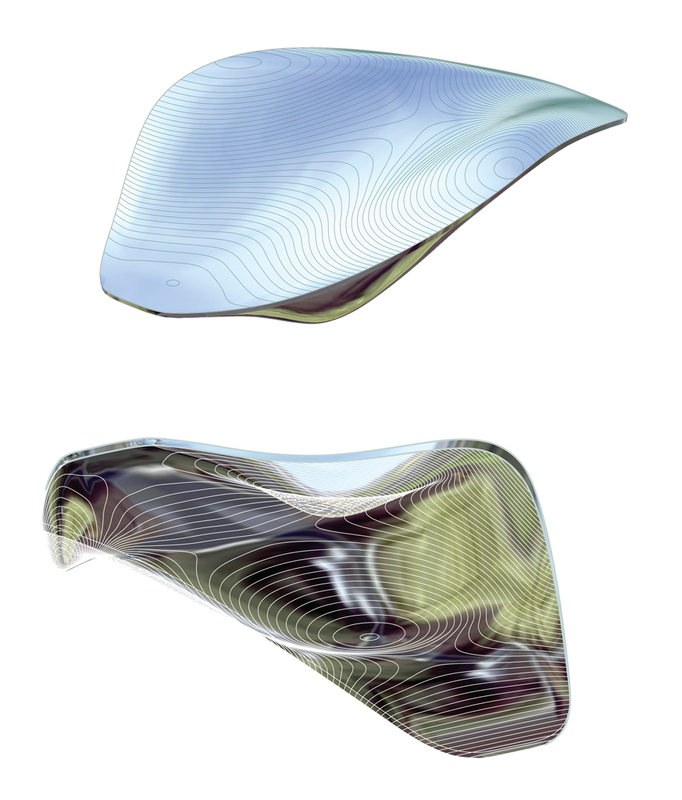 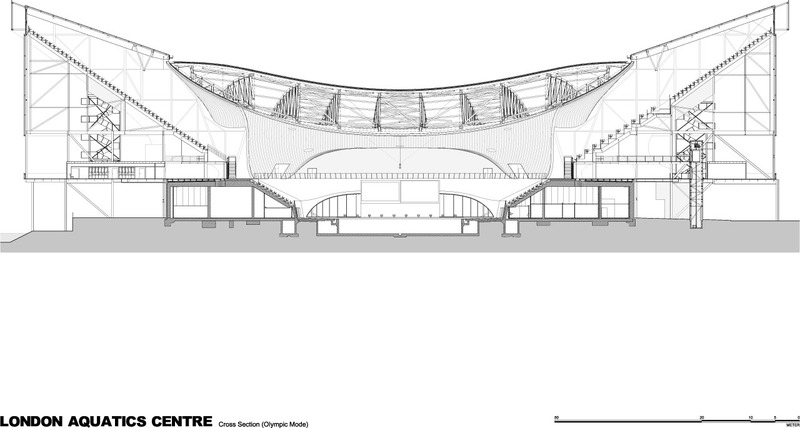 The upper roof of the building is symbolically shaped like a wave, but the raised structure, or podium, upon which it sits has a functional purpose as well. 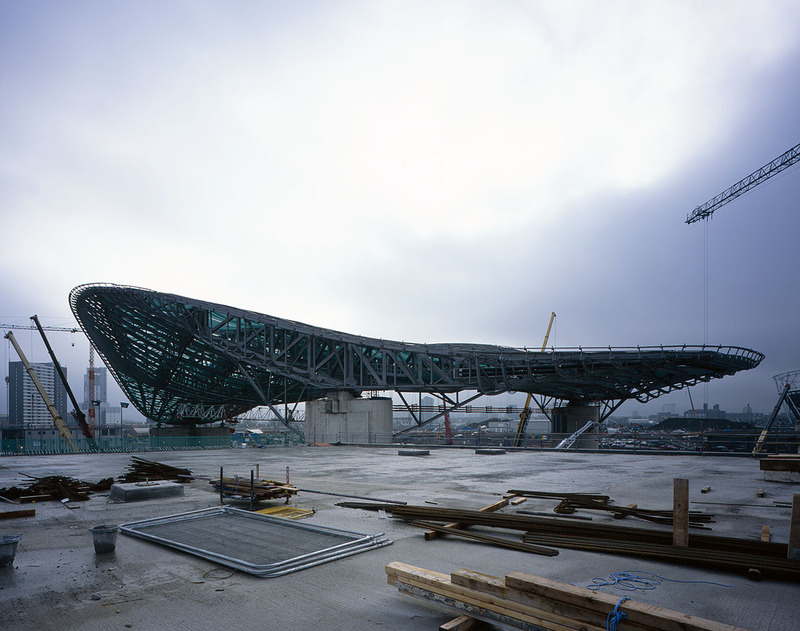 It acts as a pedestrian bridge, connecting the Stratford City Bridge to Olympic Park, and two-thirds of the Games’ spectators are expected to arrive at Olympic Park via this point of entry. 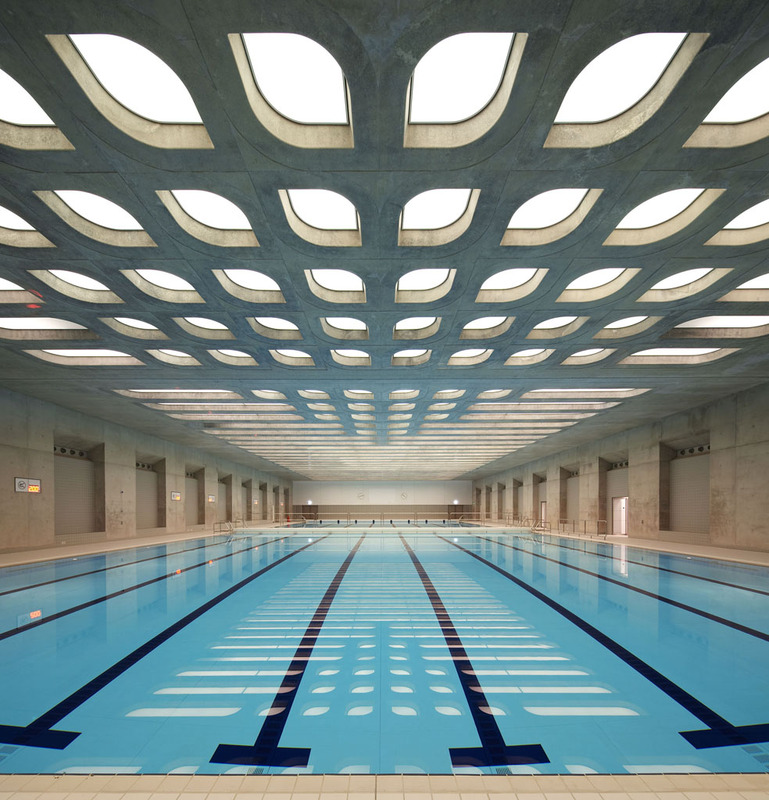 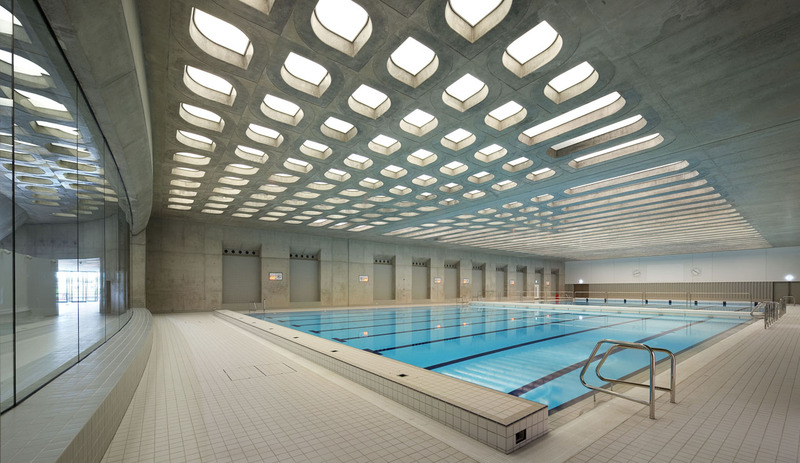 Underneath the bridge is the facility’s training pool; punched openings in the concrete ceiling above the pool accommodate skylights to let in natural light. 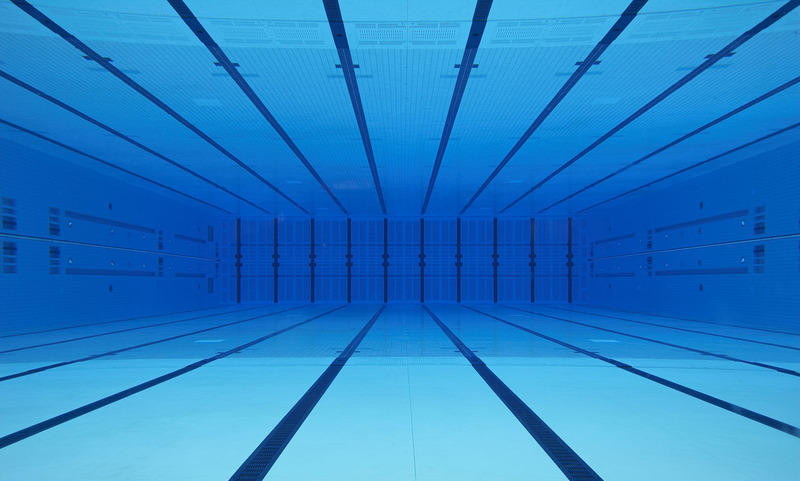 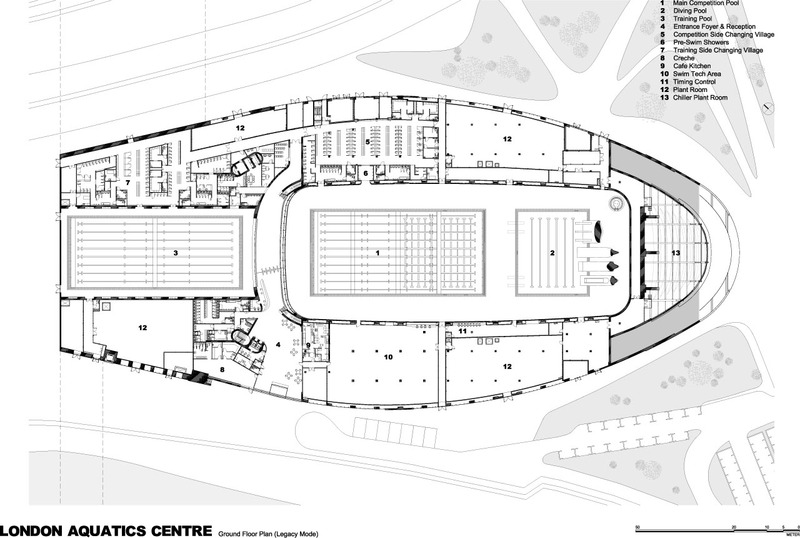 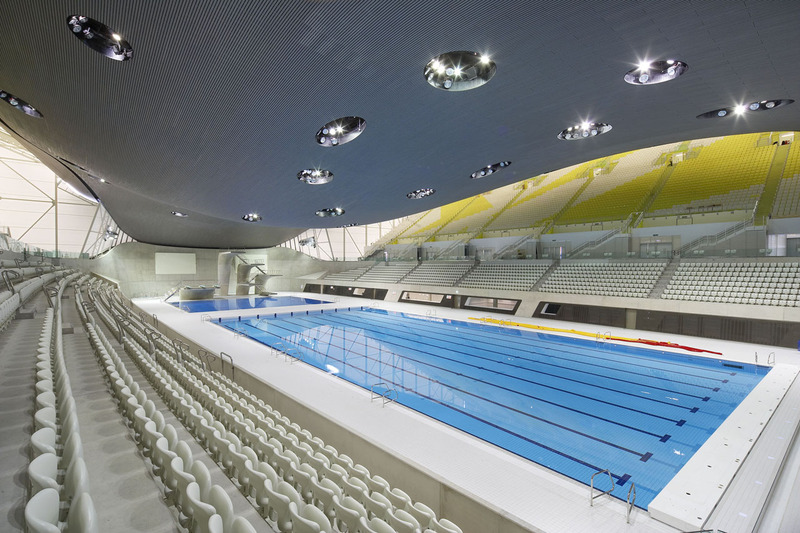 The 50 m competition pool and a diving pool are located in the large hall. 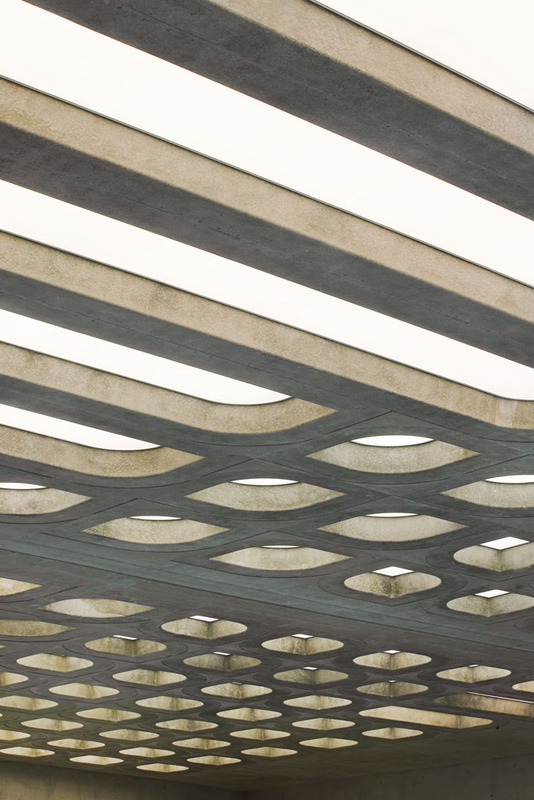 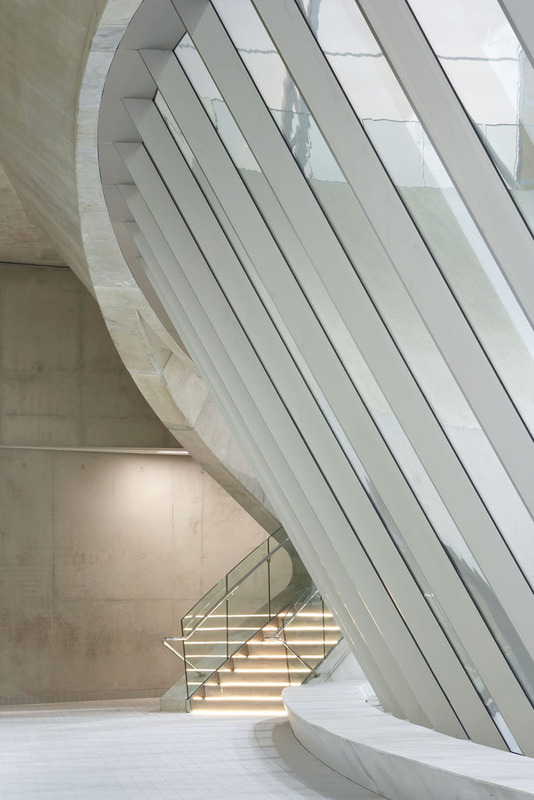 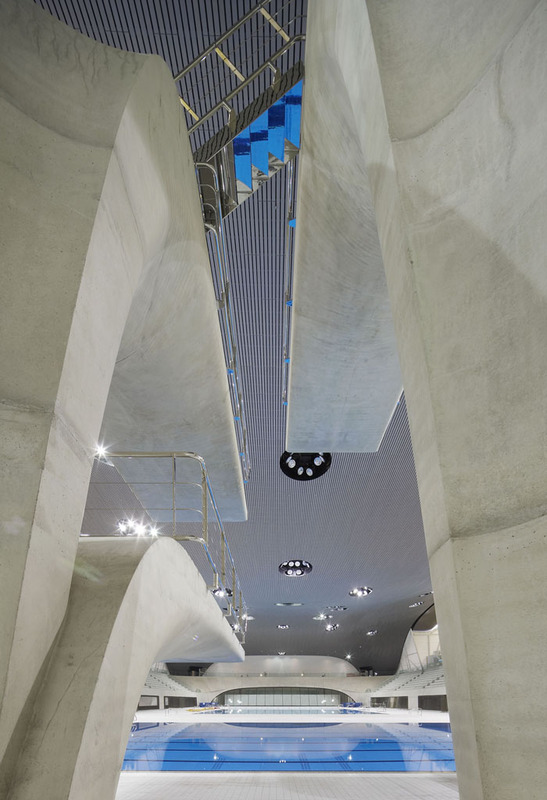 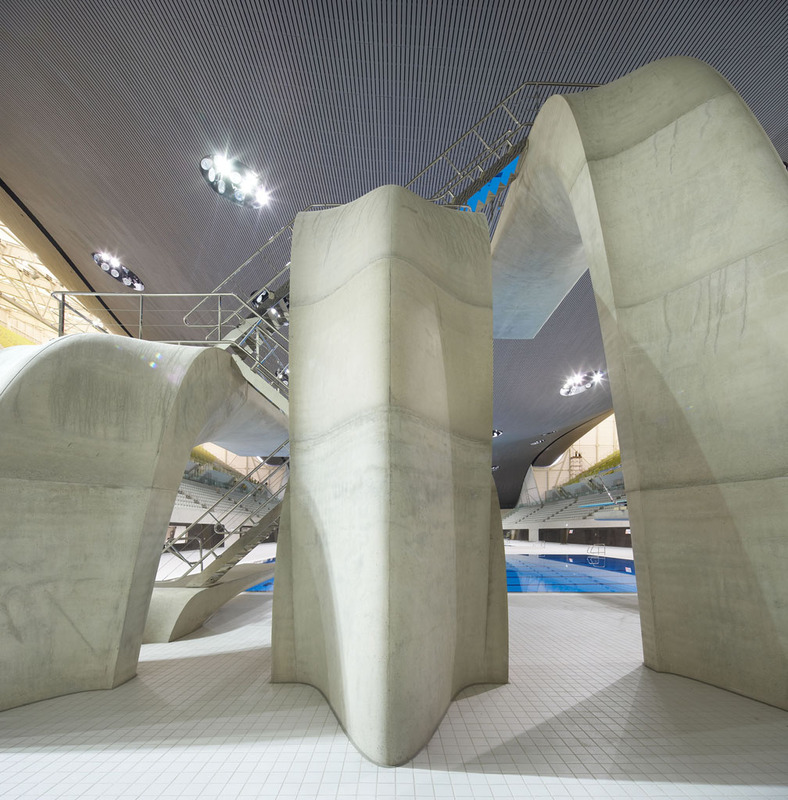 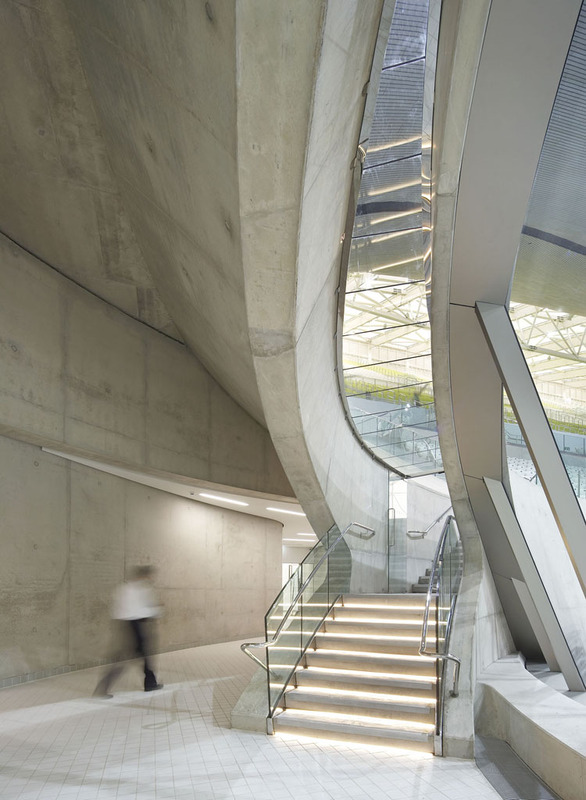 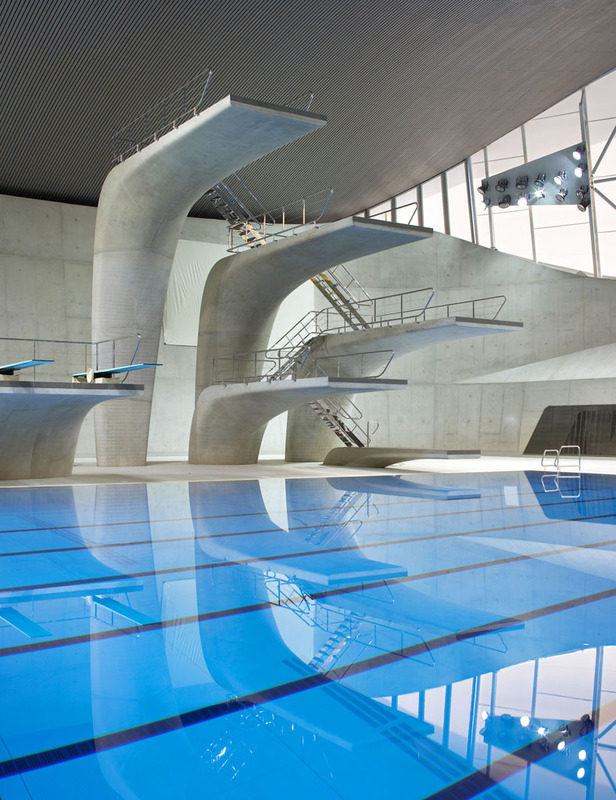 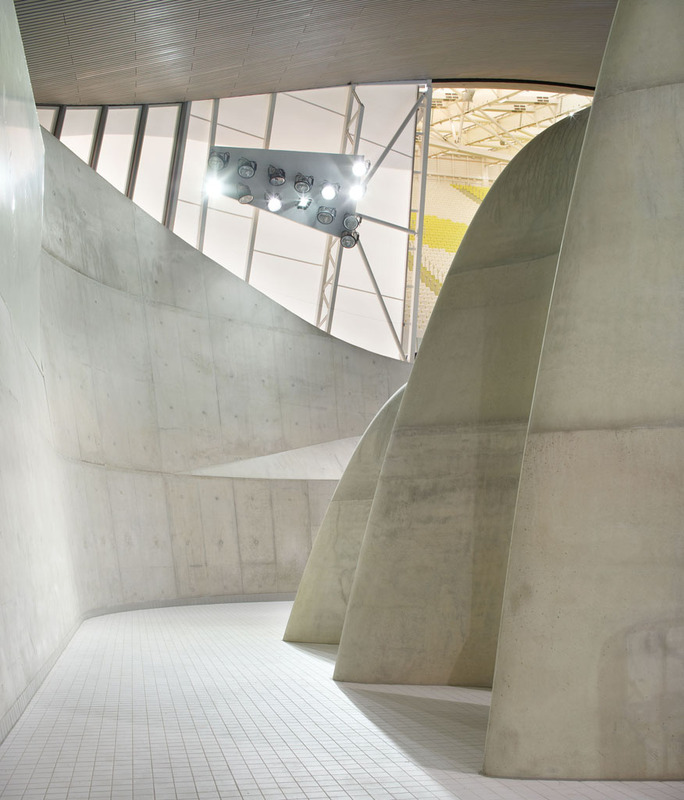 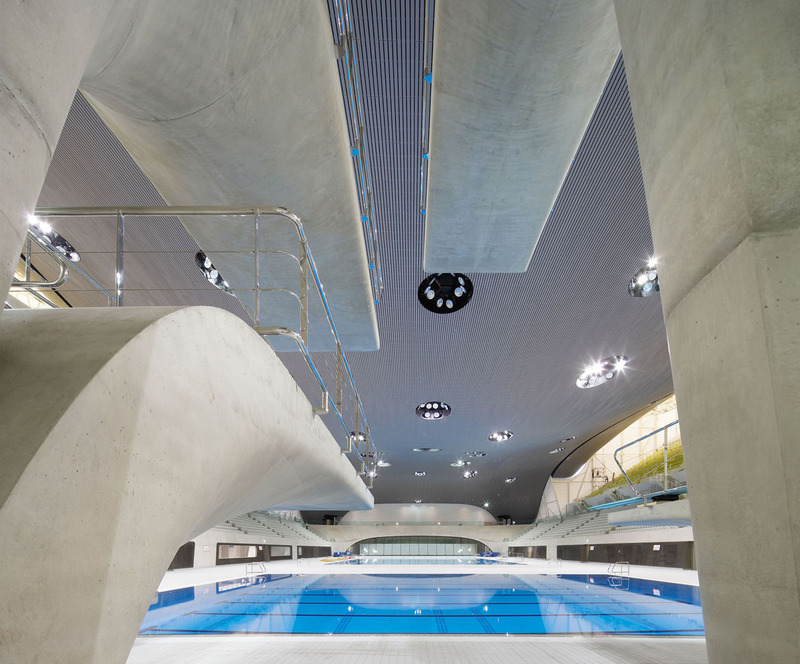 An assemblage of cast concrete diving platforms line the diving well and have a sculptural fluidity of their own. 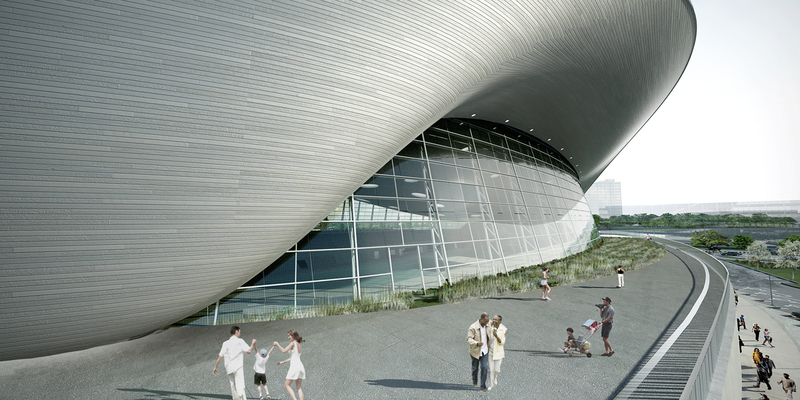 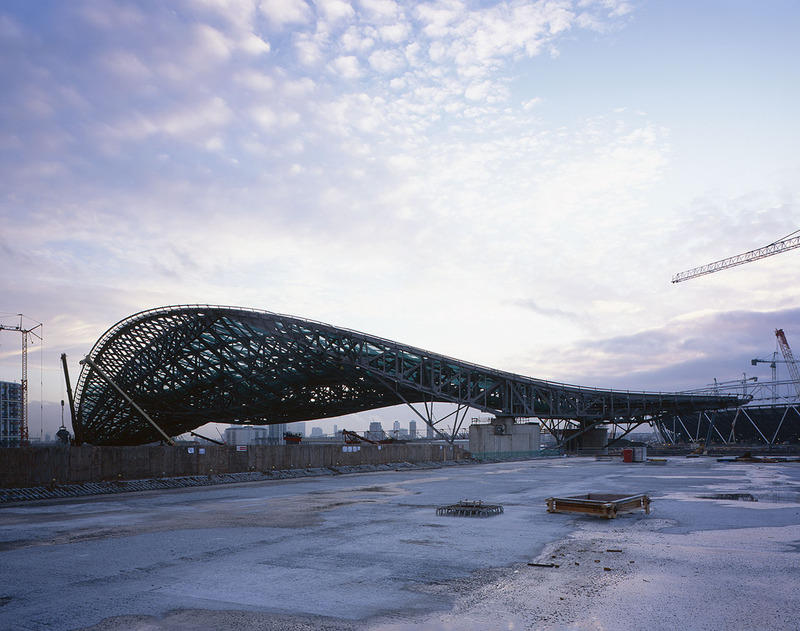 The central undulating portion of the aquatic center is a permanent structure. 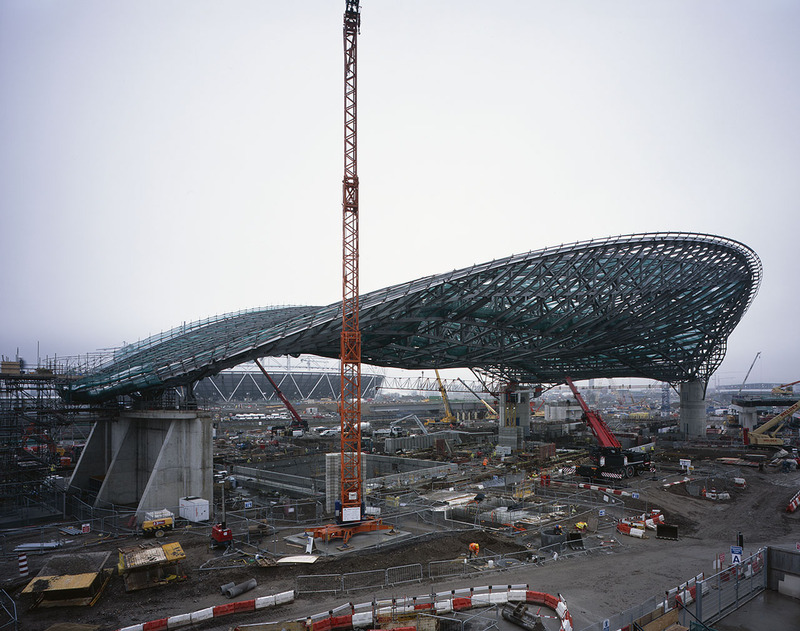 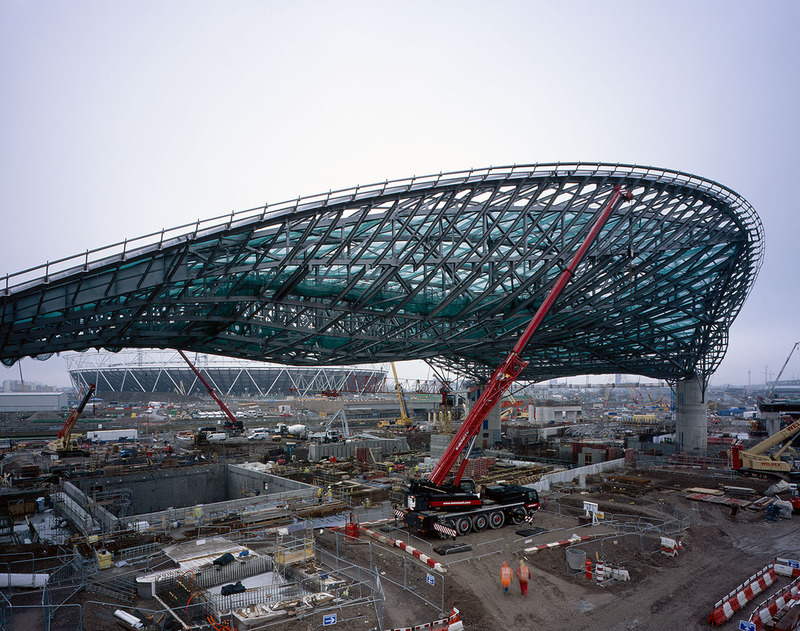 It is 160 m long and 90 m at its widest point and is composed of a steel truss frame that weighs over 3,000 tons. 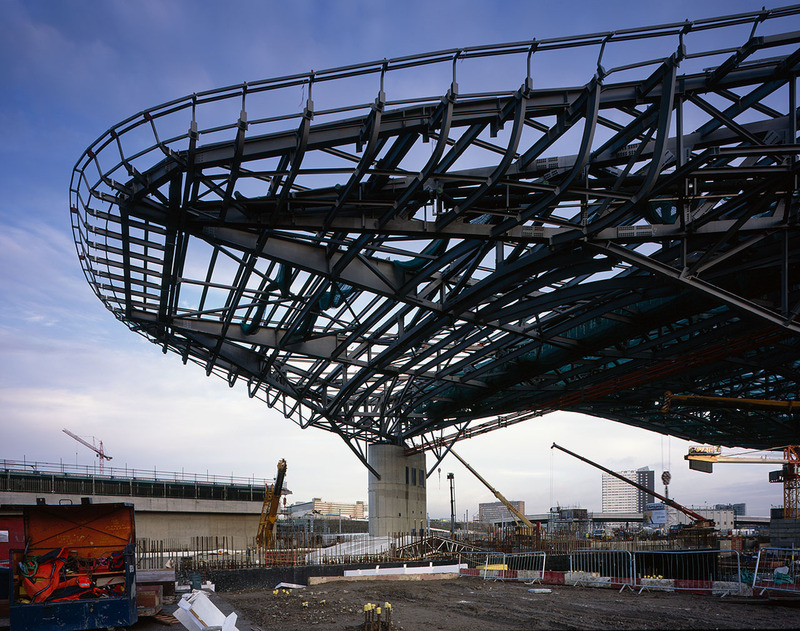 The structure was assembled and then lifted into place to rest upon three concrete supports. 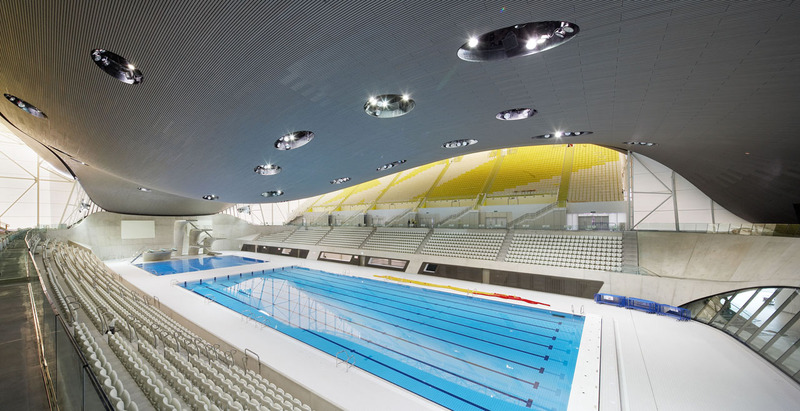 Installation of the aluminum exterior cladding and a timber ceiling occurred after the steel structure was set in place. 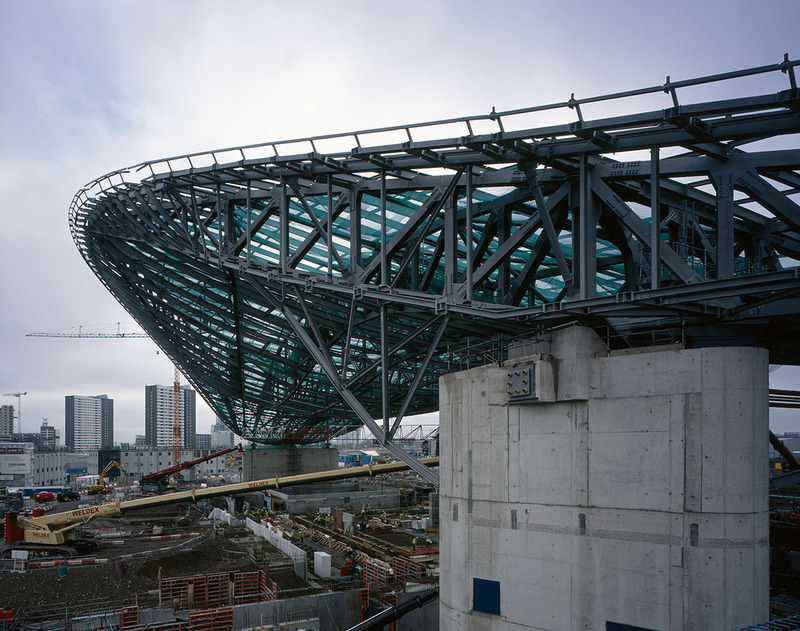 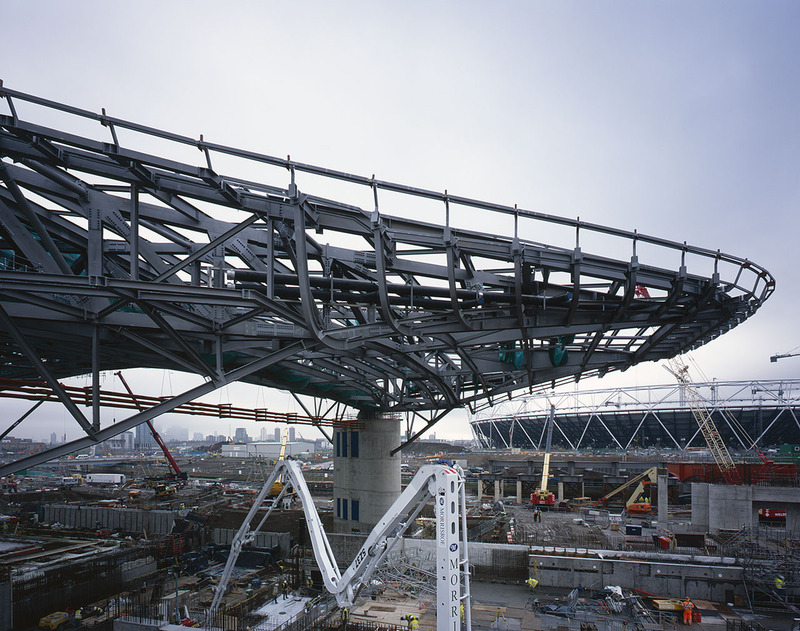 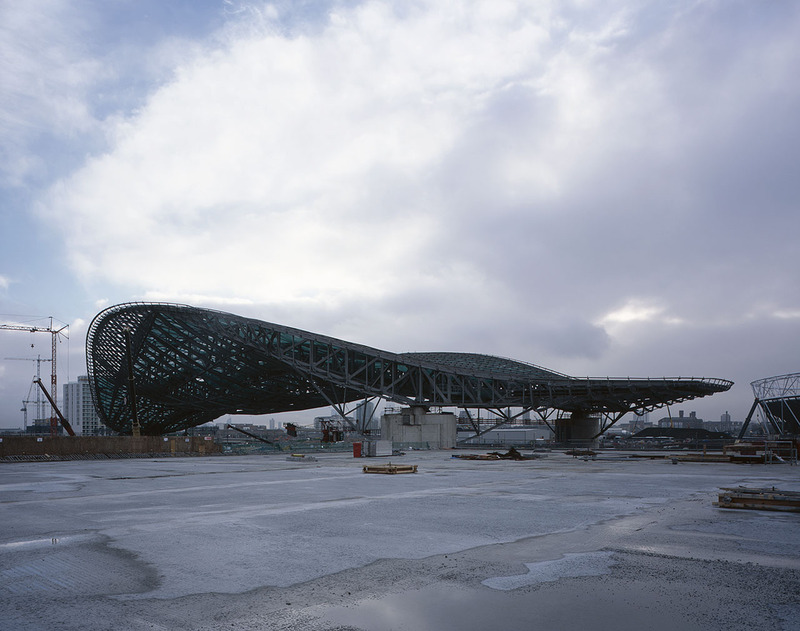 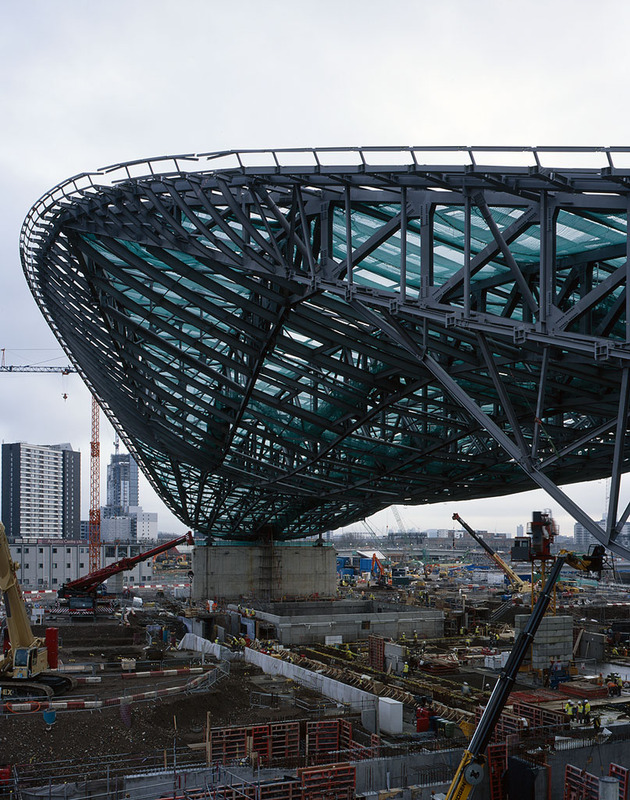 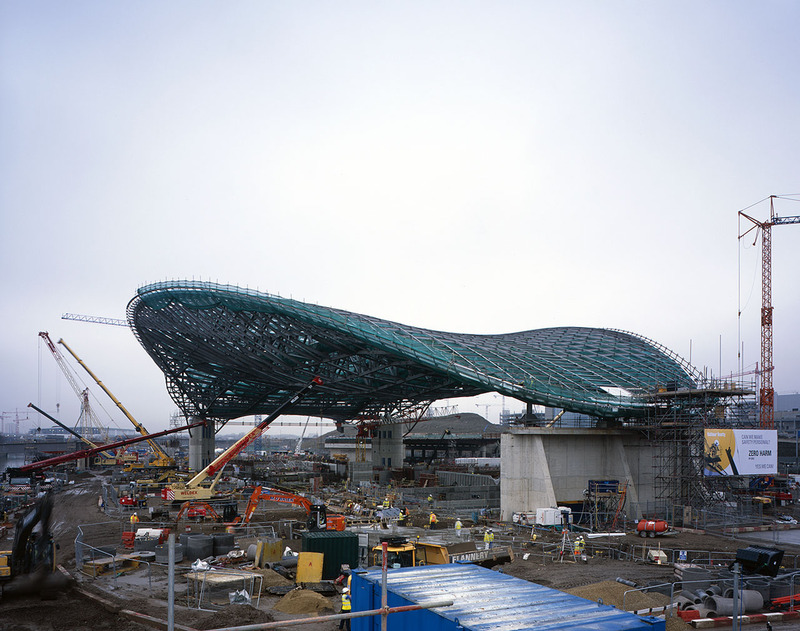 Two temporary wing extensions with additional seating will remain attached to the structure during the Olympic Games. 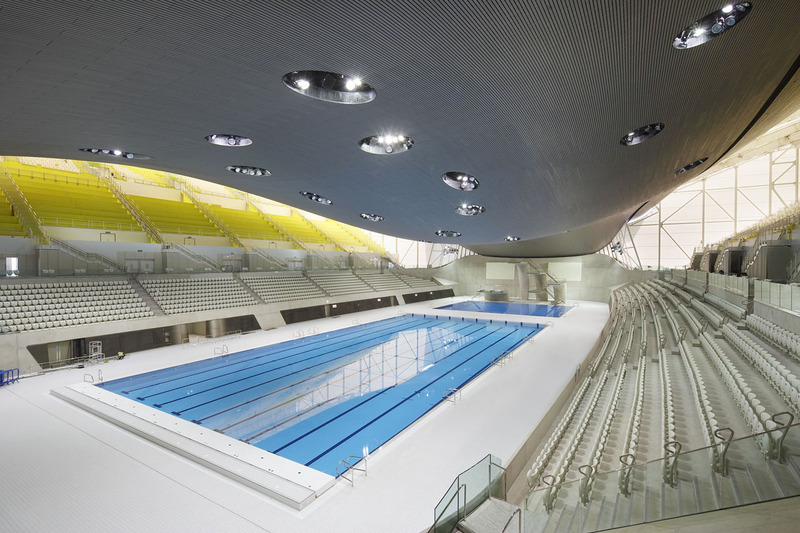 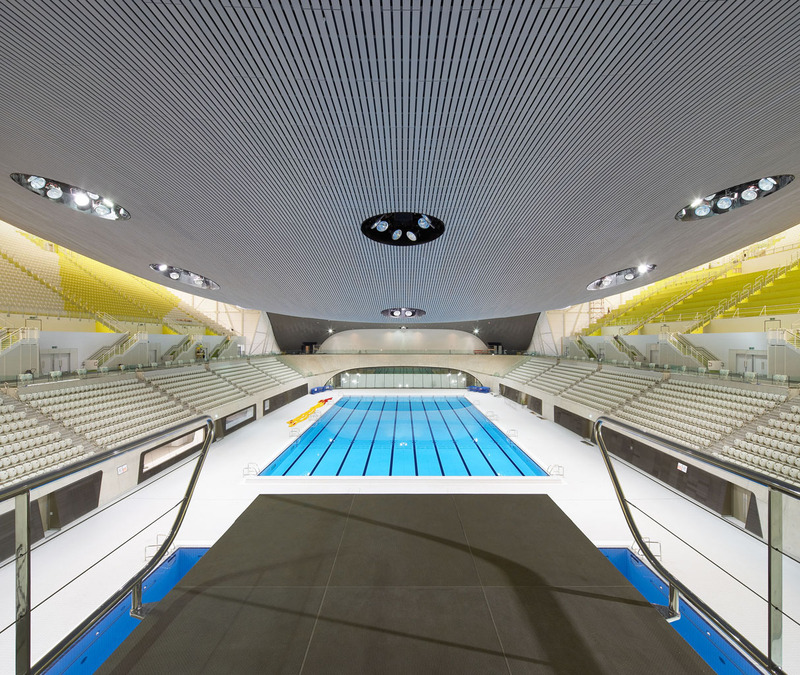 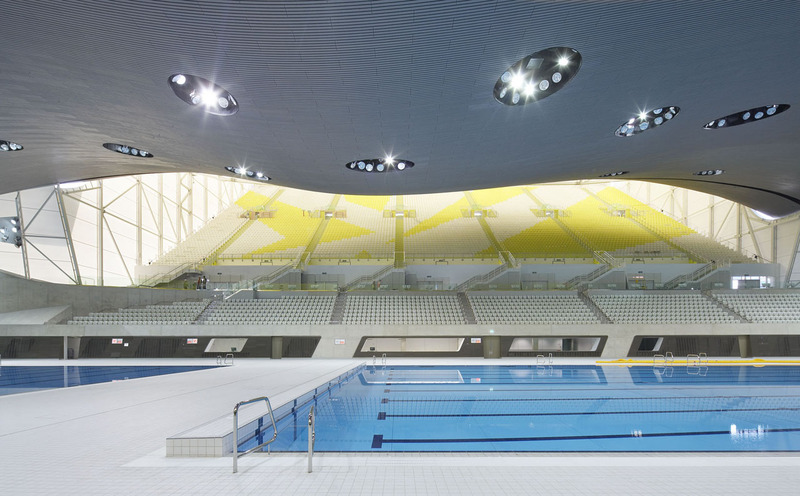 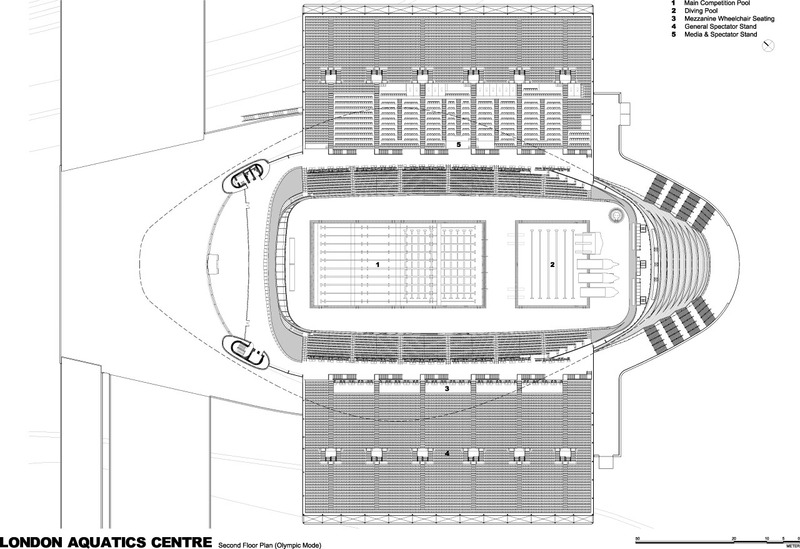 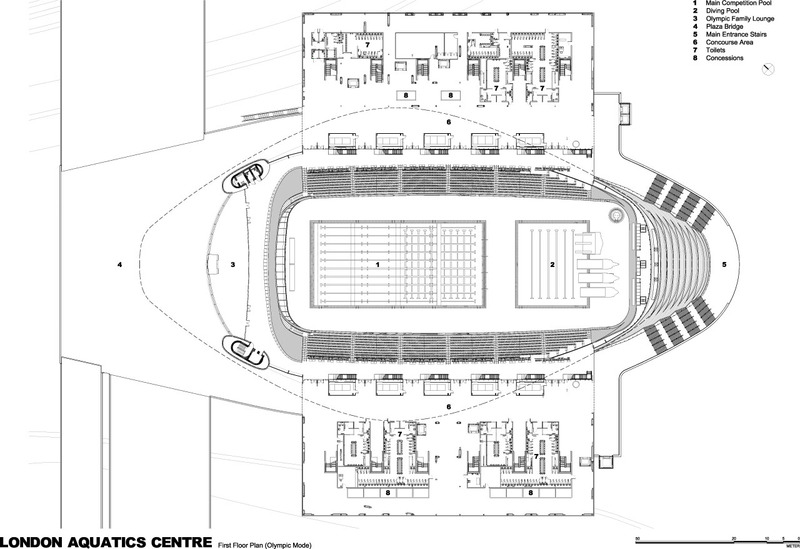 Eventually, the Aquatics Centre will serve as a facility for the local community, including schools and clubs, but it will remain possible to increase its capacity by adding seating extensions during major swimming competitions.